Tifenn Python illustrates for many newspapers and magazines, her sketch books are wonderful. 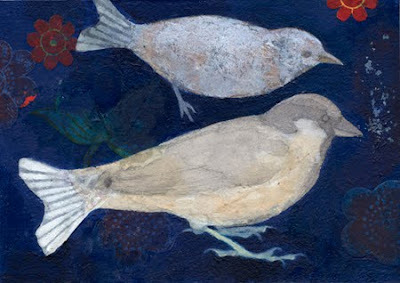 The works I have chosen are from a series of paintings where Tifenn has combined fish and birds. 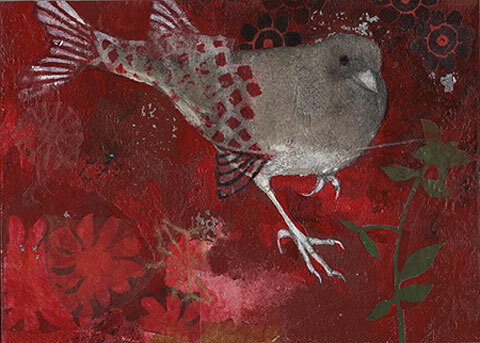 Tifenn grew up in France and Tahiti and then trained in Canada, she now lives and works in New York.